Retirement gives seniors an abundance of extra free time. There’s plenty of time each day to spend time with loved ones, go traveling, or enjoy a hobby. However, some older adults might feel they can accomplish more. In these cases, seniors should consider volunteering their time to worthwhile causes. Volunteer work provides retirees with several benefits. When work hours are no longer an option and loved ones live a distance away, seniors are susceptible to becoming isolated, which may lead to depression and other health issues. Volunteering enables seniors to leave the home, get out into the community, and socialize with other people. By donating their time, older adults have a reason to get out of bed in the morning, knowing they have schedules to follow and people who rely on their presence. The Corporation for National and Community Service reports that seniors over the age of 60 who volunteer experience greater degrees of wellbeing and fewer disabilities. Social isolation can result in mental, emotional, and physical challenges for aging adults, but seniors don’t have to manage them alone. In Fair Oaks, senior care agencies can be a great boon to seniors. With the help of the caregivers at Home Care Assistance, your aging loved one can lead a happier and healthier life. We offer a revolutionary program called the Balanced Care Method, which encourages seniors to eat nutritious foods, exercise and socialize regularly, and focus on other lifestyle factors that increase life expectancy. Researchers from the Wharton School of the University of Pennsylvania studied older adults and learned that those who volunteer their time feel as if they have even more time to engage in activities they enjoy. Volunteering provides seniors with the chance to better manage their time and develop daily schedules that allow them to keep their days full and satisfying. By volunteering, older adults have the chance to interact with younger generations and establish new friendships, which broadens their social circles. The knowledge, experience, and skills seniors possess can be passed down to enhance the lives of high school or college students. Older adults feel useful, and younger people benefit from the wisdom seniors provide. Volunteer options might include acting as a foster grandparent in an elementary school, caring for animals at a local humane society, or serving as a docent in a museum. In all instances, the work enables older adults to stay active by getting a bit of physical exercise. By staying active and physically fit, older adults increase their longevity while reducing the likelihood of disease processes or age-related injuries. Many seniors need assistance with transportation, and if you usually help your loved one get out and about but need a break now and then, consider having a professional caregiver take over for you. Family caregivers sometimes need a break from their caregiving responsibilities. When they need respite care, Fair Oaks families can rely on professional caregivers to help their senior loved ones remain safe at home. The National Institute on Aging reports that when seniors maintain active social lifestyles, they reduce the risk of developing cognitive impairment. Volunteering provides that opportunity as they continually interact with other people. Depending on the type of work performed, older adults may have the chance to learn, which also keeps the mind active and stimulated. Volunteering provides positive psychosocial effects, which are often lost when an older adult no longer works a full-time job. By developing relationships and passing along information learned during their lifetimes, seniors have a renewed sense of purpose. This way, they’re able to alleviate negative emotions and decrease stress. The combined benefits gained by volunteering provide seniors with an increased sense of satisfaction and achievement. Volunteering can make a huge contribution to robust mental and physical health in seniors. Not every senior has the same care needs, which means they don’t all need the same type of at-home care. 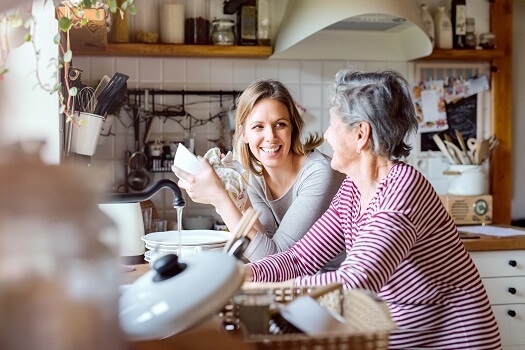 Fair Oaks families can rely on Home Care Assistance to provide individualized care plans to meet your elderly loved one’s unique care needs. Our holistic Balanced Care Method was designed to help seniors focus on healthy lifestyle habits such as eating nutritious foods, exercising regularly, and maintaining strong social ties, and our Cognitive Therapeutics Method offers mentally stimulating activities that can stave off cognitive decline and delay the onset of dementia. If you need compassionate, professional care for your loved one, call one of our friendly Care Managers today at (916) 485-4663.